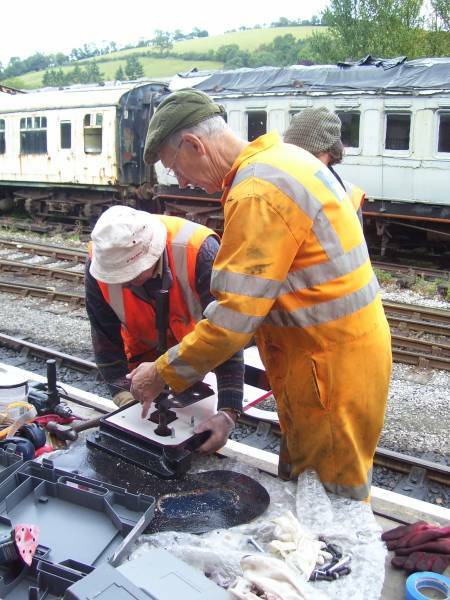 Those of you who have visited our line this year may have noticed that at lot of time has been spent refurbishing the Signal posts at Buckfastleigh over the summer months with the Conclusion of the GWR Bracket on the North end of the Platform. The plan is to Start at Totnes in the New year doing minor works until the approval comes through from the HMRI. 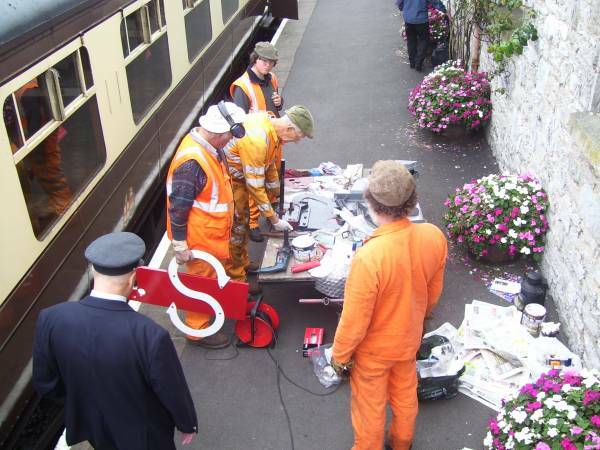 Then a return to Staverton to Repaint the inner home ready for the next season. 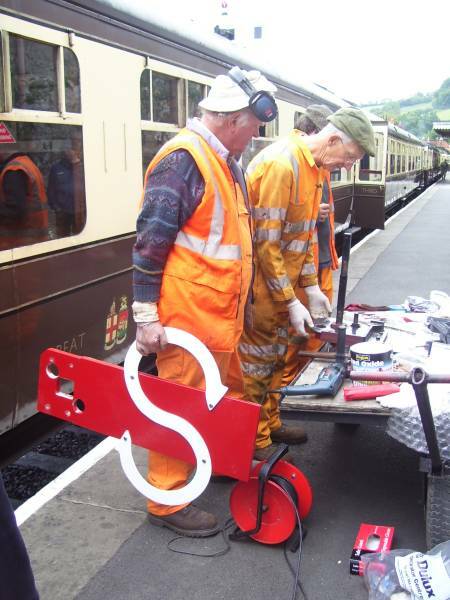 Below are some photos which where taken on Friday 28th September 2007 shewing the new wooden arms being fitted to the GWR Casting. The arms have been made out of Beech by one of our members to high standard.